Thus, I present to you three of the crappiest photos of birds you'll ever see published on a professional website. I should be embarrassed, really, to show these to you, but they made a recent trip to the Savannah National Wildlife Refuge worth the fire ant bites I suffered taking them. I couldn't ID him in the field, although I was confident I would be able to when I got home because the white stripes on the underside of his wings were so prominent. The image is improperly exposed and grainy, but is mine. ALL MINE! Earlier, while taking photos of common gallinules -- the 3-cent common cards of the Savannah Wildlife Refuge; you can't swing a dead cat without hitting one there -- I caught a glimpse of this fellow. Obviously, I ha d a difficult time reacting quickly enough to get a well-focused shot of this least bittern. I had a notion what I had captured, but I didn't get my hopes up. I've shot dozens of green herons from a distance, thinking I might have a bittern. But lo and behold, when I got it home and looked at the distinctive pattern across his back and wings, I added another to my collection. 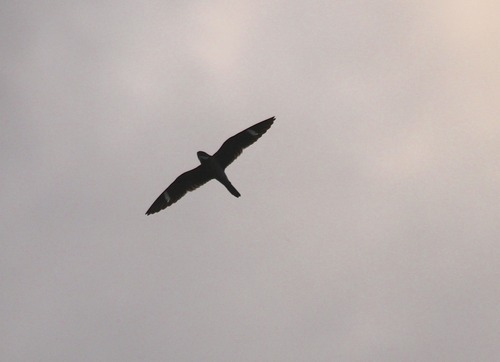 I consider this a bit of a coup, since these are notoriously difficult birds to spot and photograph. A half hour later, driving down the causeway, my wife, Debi, spotting this bird in a tree. 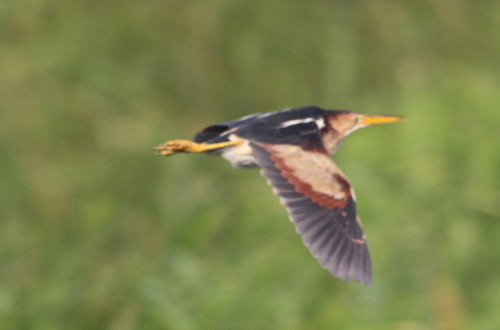 From a distance, I thought it was green heron, but as I drew closer, the coloring, shape -- everything -- was way off. I followed this guy into the brush and still wasn't sure what I had. At home, I photoshopped this image to within an inch of its life and still wasn't sure. I turned every page of my National Geographic bird guide until I came upon the yellow-billed cuckoo, though I still wasn't positive about the ID. After all, I couldn't see the distinct yellow eye ring, and I wasn't sure the bill shape was quite right. 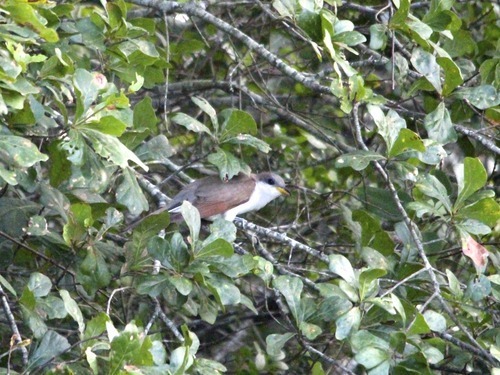 I emailed the photo to Chris Marsh of the LowCountry Institute, a former professor of ornithology, who confirmed the ID, adding that this is another difficult bird to photograph. It felt a little like opening a wax pack of 1980 Topps and finding Junior Kennedy, the last of the Cincinnati Reds I had not yet collected. It didn't matter to me that Kennedy was a lifetime .248 hitter -- I didn't have him before I opened that pack, and he looked like a Honus Wagner T206 to me.